2X Ultra Tide HE is a low-sudsing formula. Since HE washers use less water to clean, the water is dirtier. 2X Ultra Tide HE has special dirt capturing ingredients to help suspend dirt and dyes in the water, which helps keep them from redepositing on your clean laundry. Using traditional detergent in an HE washing machine can cause excess suds. 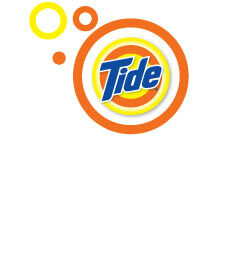 Excess suds could lead to washer problems and just using a smaller amount of regular detergent won't solve the problem. According to the Soap and Detergent Association, only the use of an HE detergent helps ensure the proper performance of your washer. Plus, 2X Ultra Tide HE has more active ingredients than before, so you can use less. One small cap can get a whole load clean. So you get the same number of loads in a smaller, more convenient bottle. Acti-Lift formula is now available in many of your favorites: Tide HE, Tide Coldwater, Tide Coldwater HE, Tide with Bleach Alternative, Tide with Bleach Alternative HE, Tide plus Febreze Freshness, Tide plus Febreze Freshness HE, Tide plus Febreze Freshness Sport, Tide plus Febreze Freshness Sport HE, Tide with a Touch of Downy, and Tide with a Touch of Downy HE. The Tide with Acti-Lift formula contains technologies to help lift off stains with ease. What is the Acti-Lift formula? Our Acti-Lift formula is designed with ingredients to help provide deep cleaning of fibers, break-up dry stains, and provide a whiteness boost. Soon, you will find it in place of your current Tide when you shop. Is Acti-Lift technology unique and exclusive to Tide? Yes, Acti-Lift is unique and exclusive to Tide only and will soon be available in many of your favorite Tide varieties. Acti-Lift technology is not in other detergents. Will Acti-Lift technology be too harsh on my clothes? No. Like all Tide products the Acti-Lift formula is extensively tested to ensure that it's safe for all machine-washable fabrics. Can I use Acti-Lift in HE machines? Yes, there will be HE versions of many of your favorite Tide varieties including Tide with Bleach Alternative, Tide Coldwater, Tide with a Touch of Downy, Tide plus Febreze Freshness, and Tide plus Febreze Freshness Sport. Can Acti-Lift be used with laundry additives - bleach, laundry boosters (Tide Stain Release, etc)? Yes, Acti-Lift can be used with laundry additives such as bleach and laundry boosters. As always, be sure to read instructions before using additional products. Can Acti-Lift be used for colors and whites? Absolutely; Acti-Lift is suited for both. Can I use Acti-Lift on all types of material/clothing? Acti-Lift can be used on all washable fabrics. As always, for best results, please be sure to read you garments care label instructions. Yes, our packages are recyclable and in fact, all Acti-Lift bottles have been made from 25% or more post consumer recycled plastic.